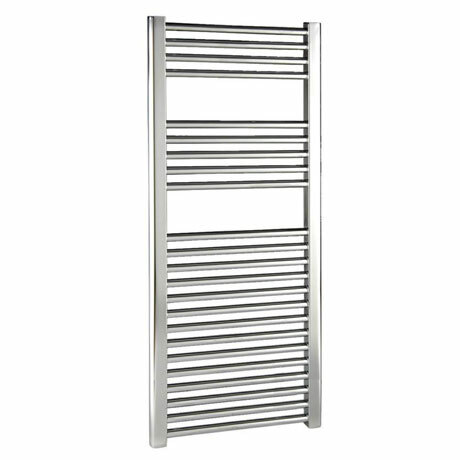 The Diva flat towel rail adds style to any room with its contemporary flat profiled ladder design and extensive choice of sizes. Hand crafted from high grade steel and finished in stunning chrome, each rail is individually leak tested and feature 25mm tubes for improved performance. Each rail comes complete with wall brackets, air vent plug and blanking caps. Comes with a 5 year guarantee against faulty manufacture. Well made product with good heat output.